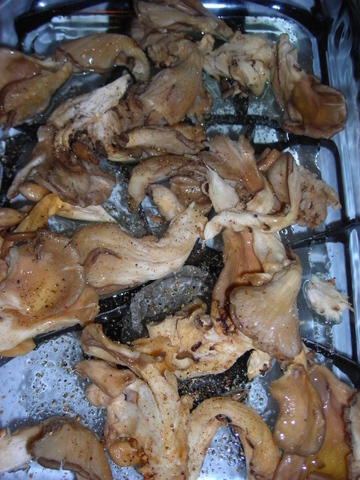 About three hefty bunches of oyster mushrooms tossed with EVOO, kosher salt and cracked black pepper. 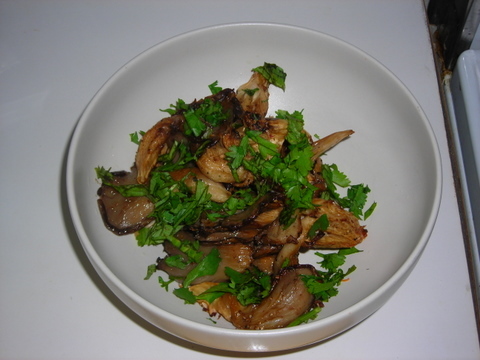 Roasted this at 300 F for 30 minutes and at 350 F for 10 minutes, then finished with chopped Italian parsley. 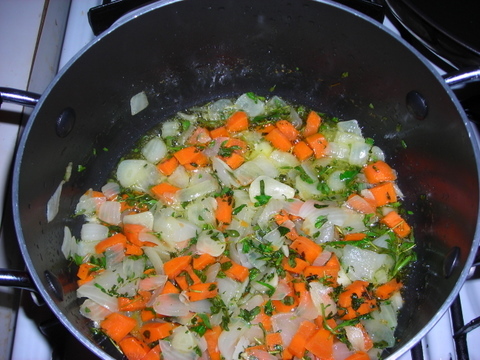 EVOO, garlic, carrot, marjoram, thyme, onion, crushed tomatoes. 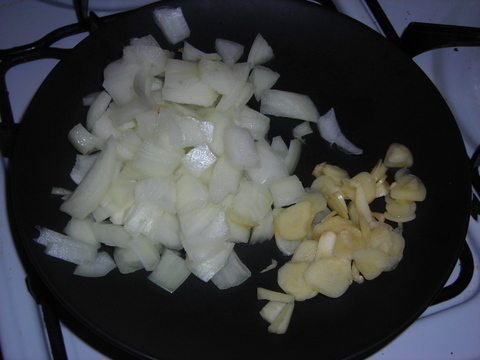 Half a Bermuda onion, diced; four garlic cloves, thinly sliced. 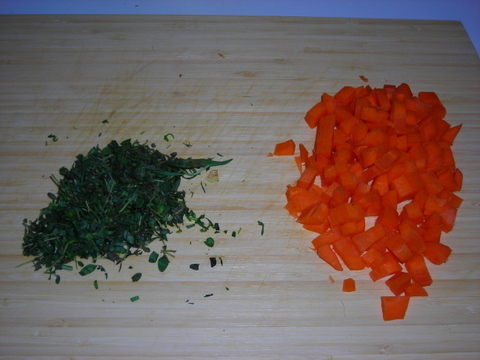 Roughly 3 T. chopped fresh thyme and marjoram, and half a carrot, diced. 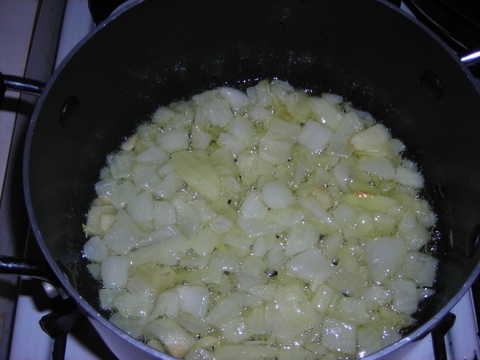 This is about 1/8 cup EVOO, with all the onion and garlic. At the five minute mark. 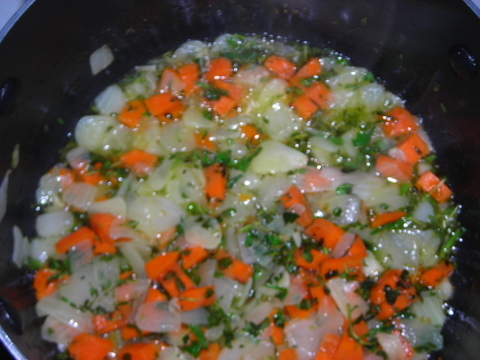 Added the carrots and herbs at the eight minute mark. Four or five minutes later. 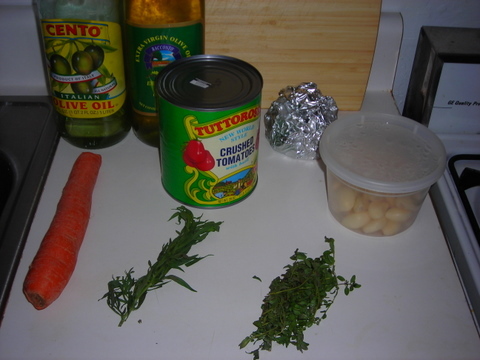 Added one can of crushed tomatoes. I prefer plum tomatoes but any type will do. 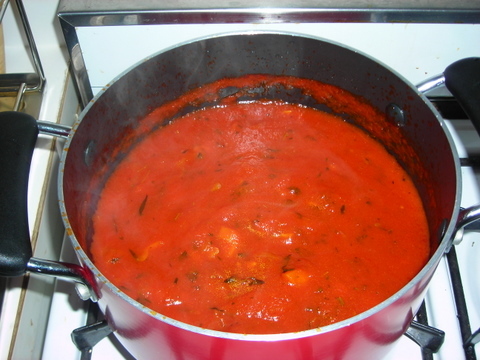 After 30 to 35 minutes of simmering on an ultra-low heat setting, partially covered. Adjust seasoning (salt and pepper to taste). You might not be able to tell from the photo above but the sauce is roughly the consistency of hot oatmeal and has reduced 1/5 of its volume. 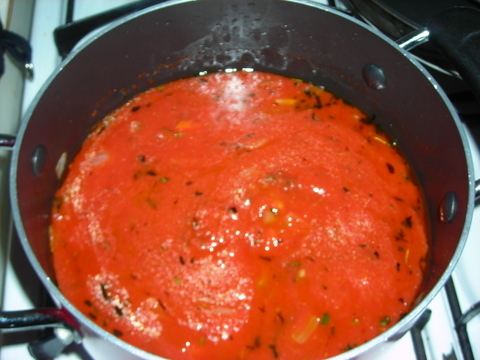 This makes about 2 cups of basic tomato sauce and is good for just about anything, from pasta to chicken and fish. 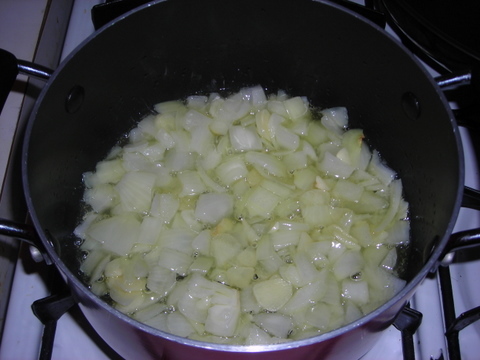 Keeps one week in the refrigerator or up to six months in the freezer. I had this with pasta, topped with grated Parm-Reg cheese, and the mushrooms. 26 Sep	This entry was published on September 26, 2006 at 3:56 am and is filed under food, general. Bookmark the permalink. Follow any comments here with the RSS feed for this post. Garlic rules, in my humble onion. Holy criminy. Please, please, please come cook for me.